One of Costa Rica's least accessible destinations, Tortuguero sits within an eponymous national park and remains accessible only by plane or boat. Most visitors take a trip to Tortuguero for the chance to spot sea turtles, which lay eggs on the area's beaches. Turtle-watching tours remain the most popular thing to do in Tortuguero during the egg-laying season (July and August), when hordes of tourists pack into the little village and endow it with a cosmopolitan air rarely found in places so far removed from a big urban center. The village is an ideal year-round spot for adventurers looking to take exciting jungle hikes and canoe tours of the area's many waterways. Tortuguero is in Province of Limon. 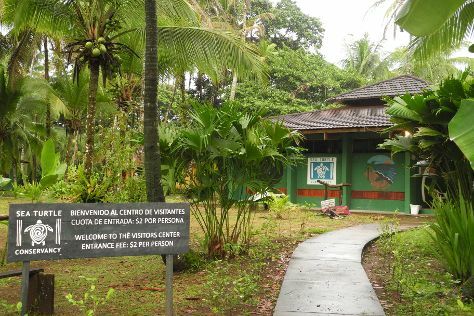 Use our Costa Rica day trip planner to plan your trip to Tortuguero and other destinations in Costa Rica.